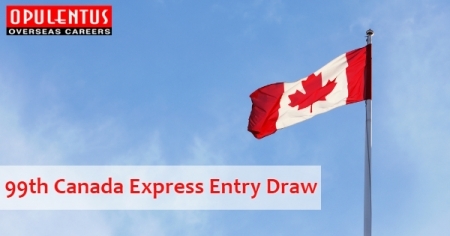 The immigration authorities in Canada, on September 19th, conducted a fresh Express Entry draw, and issued 3,500 Invitations to Apply to the aspiring candidates. The minimum CRS score was 441. This was the 19th invitation round for the year and 99th overall. Sending 3,500 I.T.A.s, makes it a big draw, but it is lower than 3,900 of the last week. For now, the least C.R.S. score has stayed in a range of two points. I.R.C.C. has adopted the practice of setting an exact number of invitations to issue, when the number of candidates having the lowest score exceeds the number of invitations permitted. In such a scenario the authorities prioritize the profiles that stay in the E.E. pool for a long time. There is a cut-off date and time based on the submission of the profiles. Moreover, a new format permits the officials to get a greater control in implementing a fine-tuned method for selecting exact number of candidates to issue the ITA. In The previous system this was not possible. Furthermore, this draw was the continuation of the trend in the EE where the low CRS score is below 500. The experts expect to see 30 draws where the immigration authorities will issue 70,000 invitations in 2018. Most of the draws will also have a C.R.S. score below 450. This will enable them to meet the Annual Immigration Target for 2018. At Opulentus, we believe in giving the top class service to our clients, and they can contact our professional team, regarding any clarification, and details of the Express Entry draws.